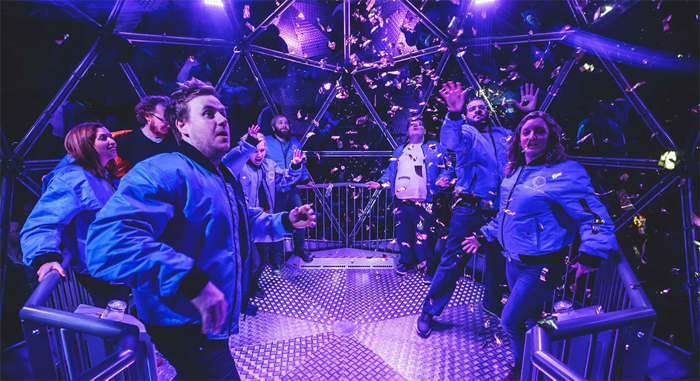 There’s been a tremendous amount of excitement building up over the last few months around the new immersive experience in central London: the reincarnation of The Crystal Maze, which – who could forget it? – first appeared as a weekly gameshow on Channel 4 in the 90s. 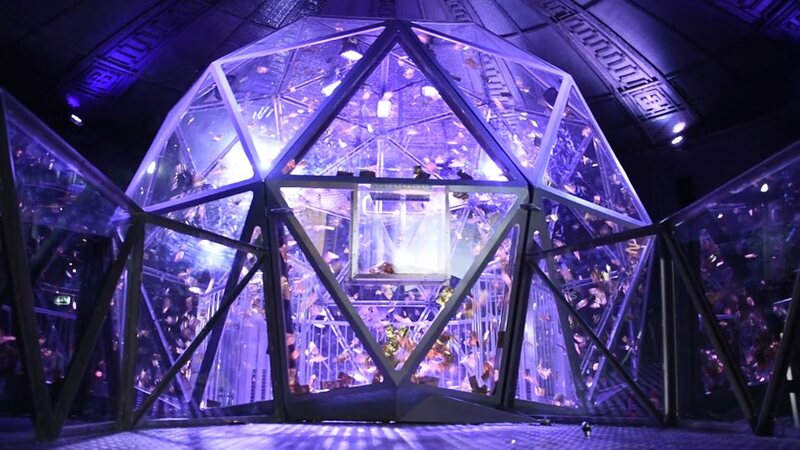 The gameshow saw competing teams being guided through various fantasy adventure zones, where their physical and mental powers would be tested in a variety of tasks, before eventually entering the Crystal Dome to collect as many prize tokens as possible - tokens which, incoveniently, were being blown all around the Dome by a series of manually operated fans. 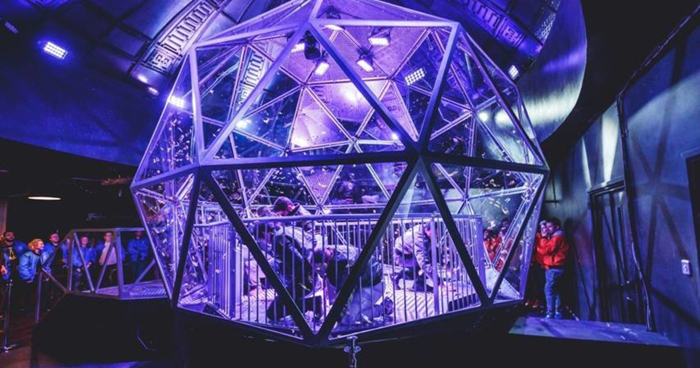 Having designed and built the games on the original TV show – as well as providing floor effects such as smoke and pyrotechnics, and maintaining the fan system within the Dome – Artem was delighted to work again on the Crystal Maze, this time creating the Crystal Dome for the immersive experience. 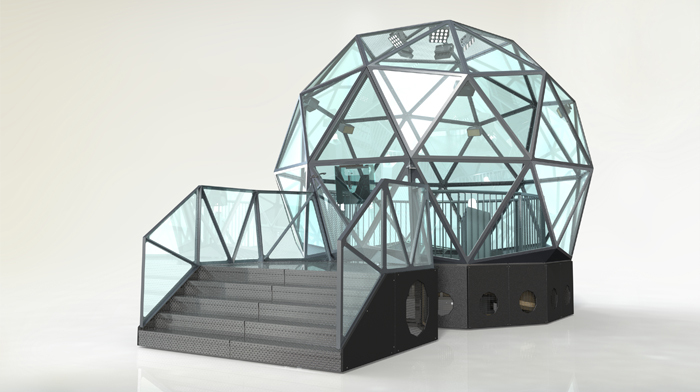 I had a chat with Simon Tayler, Company Director and Artem Supervisor on both the 90s gameshow and the Crystal Maze this project, to find out some of the thought processes behind the meeting these project requirements. “We thought that we had to treat it more like a building than anything else,” Simon explained. “It needed to accommodate a constant stream of people. In the TV show we were dealing with two or three shows a week, but this new dome will have people going in and out of it 32 times a day. It's a vastly greater usage. However, testing proved crucial to the process in getting the system to work; Simon found that the tokens were getting caught up in the fans, so the team were required to put its experience in wind machines and wind-based effects into practice, making tweaks and sealing up some air gaps until the system worked. "All those complicated angles and triangles with different lengths and meeting angles were all worked out accurately on the computer," Simon says. "You can imagine that if there was a tiny mistake it would compound so you could have easily got to a point where you put it all together and the final two pieces wouldn't quite meet. That didn't happen." Indeed, integral to the project was the use of CAD software and of Artem’s in-house CNC machining facilities to ensure that the whole structure fitted together perfectly. We were also able to create renders of the finished product so that we and our client knew exactly what to expect. 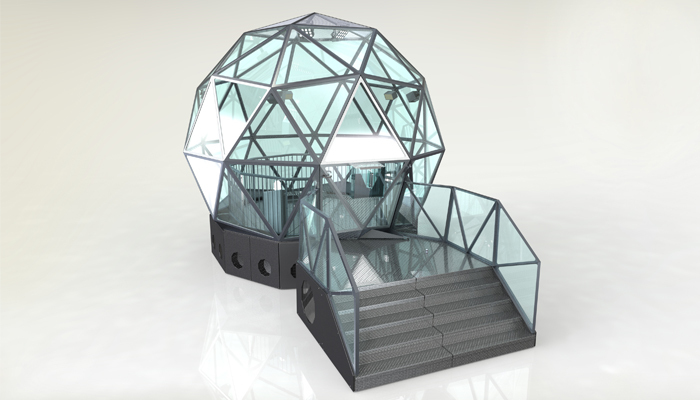 Last week, some of the Artem team had the opportunity to try out the Crystal Maze experience for themselves. Ken White, one of Artem's technicians and Specialist Engineer, said: "It was great to see our Dome out of the workshop and in its intended context. I'd love to go back again to try out some of the other games. The whole experience was so much fun - I thoroughly recommend to anyone up for a bit of a challenge!"